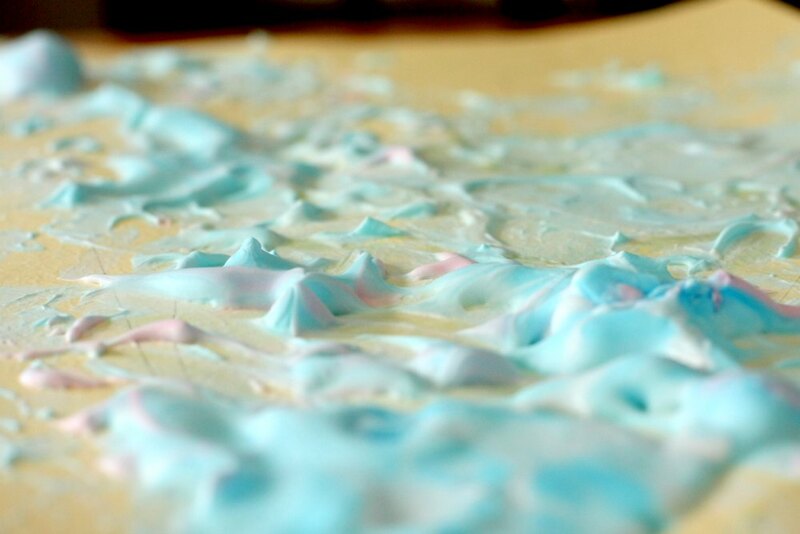 This homemade puffy paint recipe is a classic. If you haven’t tried it yet, go for it! It’s a great texture! 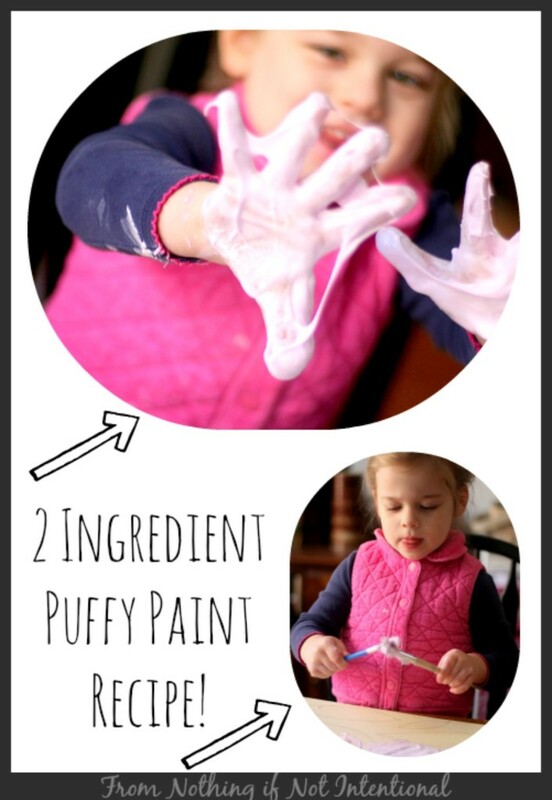 As is almost everything I post on the blog, this puffy paint recipe is very forgiving. 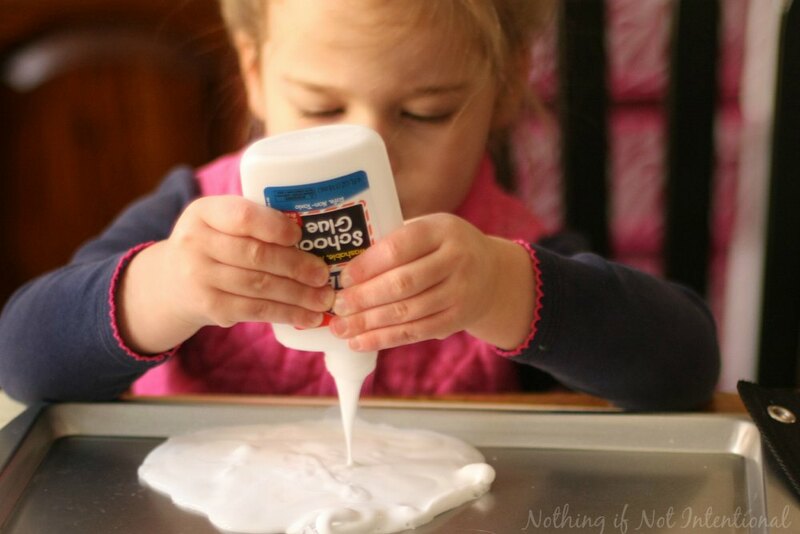 Start with one part shaving cream. Then add a touch of food coloring if you’d like a color other than white. Mix together in either a bowl or a cookie sheet, but don’t mix too much. 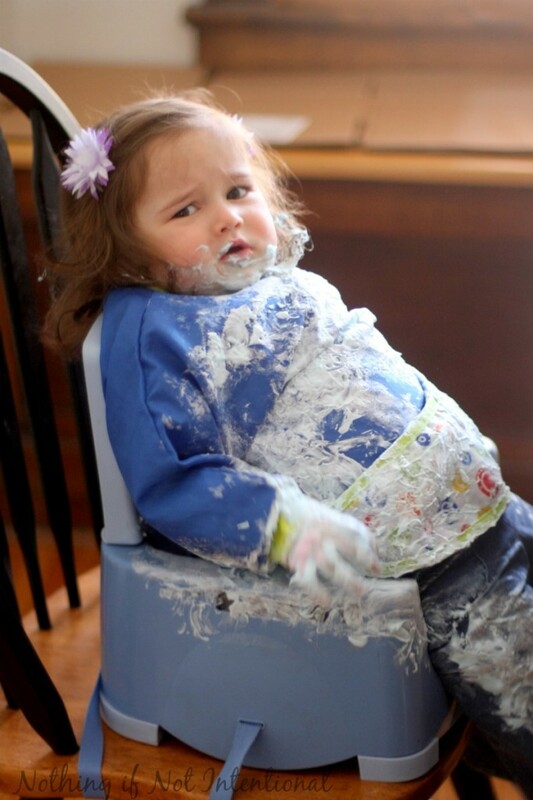 You don’t want the shaving cream to lose its foamy texture. 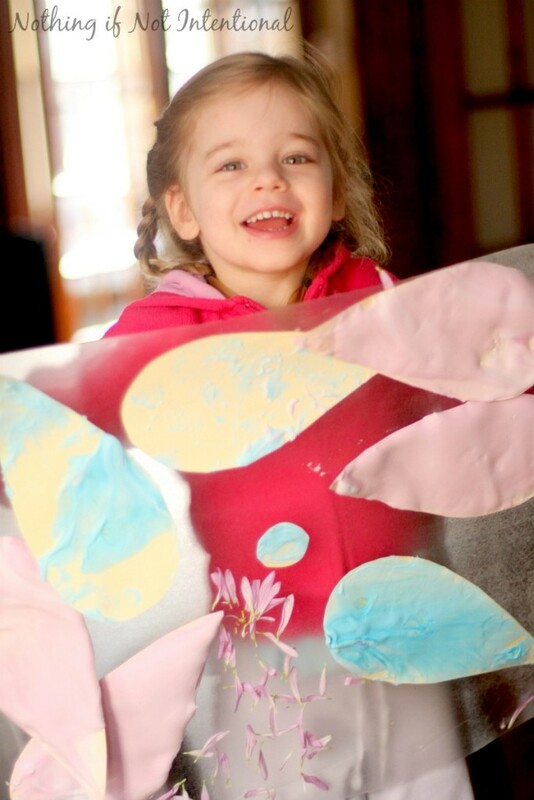 We wanted to make flowers with our puffy paint this time, so we covered our petals with puffy paint. I tried two different methods. 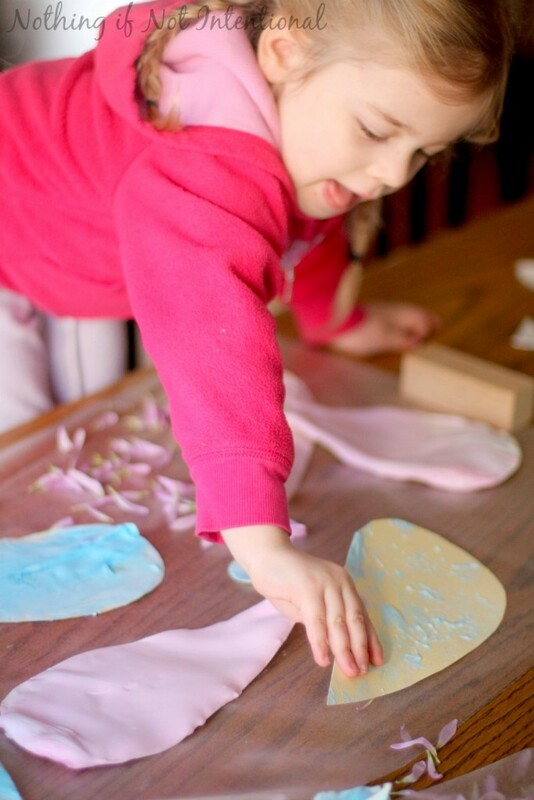 Option 1) Cut out petal shapes ahead of time and let kiddos place the petal pieces over the paint in the cookie sheet. This gave the petals a smooth, even texture. After it dried, my girls kept wanting to rub their fingers over it. Okay, who am I kidding? I’m the one who wanted to run my fingers over it. It feels awesome! It’s also the less messy option. 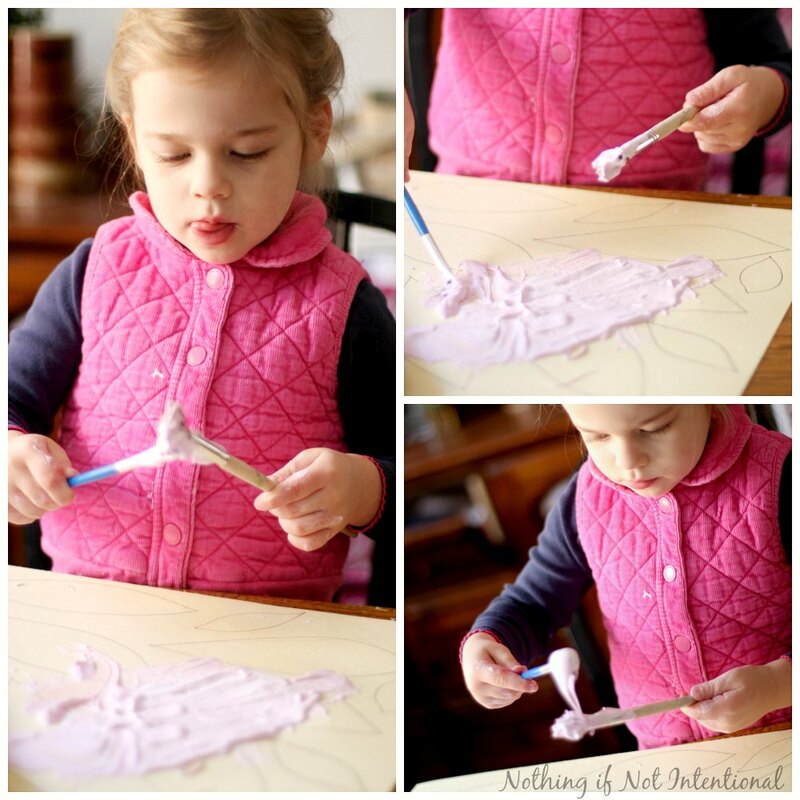 Option 2) Draw petal shapes on heavy pieces of card stock and let kids paint over the shapes. 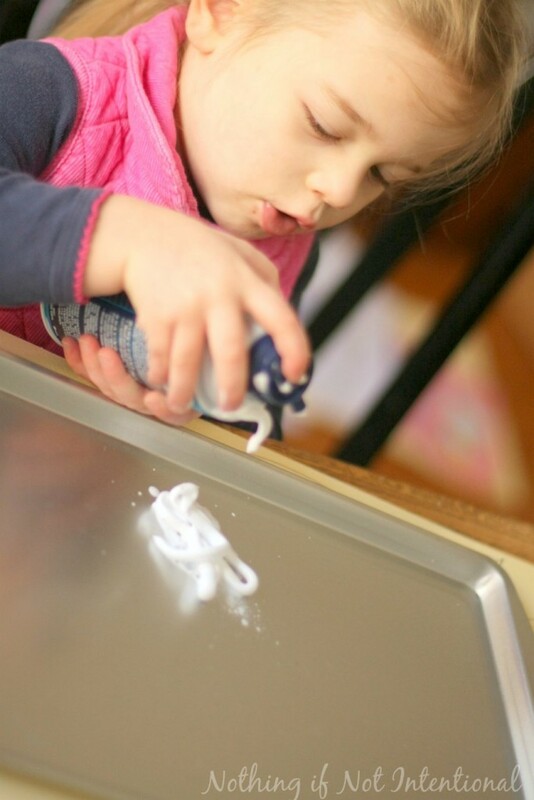 This combination of process art and sensory play is great for encouraging creativity and giving kids confidence in their ability to create. The caveat is that it’s also very messy. This child. No one will ever accuse her of lacking passion or gusto. On the bright side, I can tell you from experience that this combo washes out of clothes easily. We let the puffy paint dry overnight. See the nice puffy texture? The next day, I cut out the petal pieces. My girls took our petals and added them to a gigantic piece of clear contact paper. We used fresh flowers (daisies) as our model, so our three-year-old decided she wanted to include real flower petals in her collage. Go for it, kiddo! I definitely envisioned a more literal representation of daisies, but I let my girls design their daisies as they saw fit. This means that the casual observer might not recognize that these are flowers. But my girls know the truth! 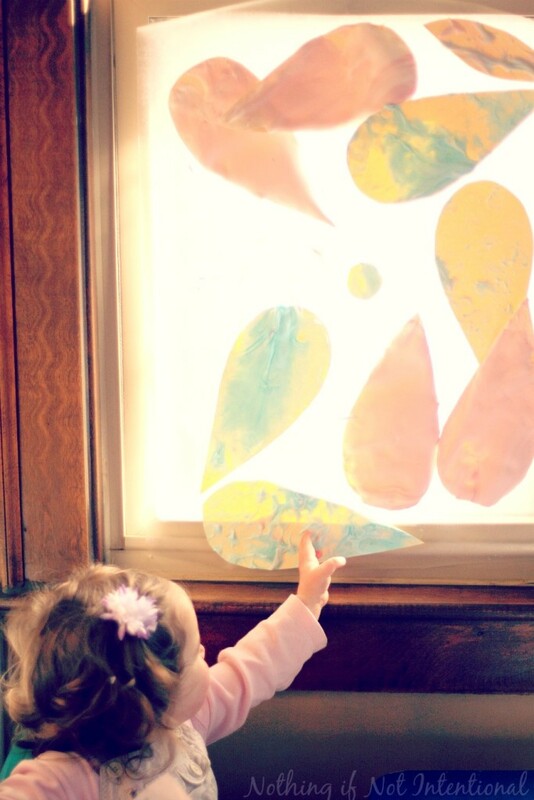 When we were finished, we taped our beautiful flower sun catchers on our window. It’s been a few weeks, and they’re still nice and puffy and pretty. 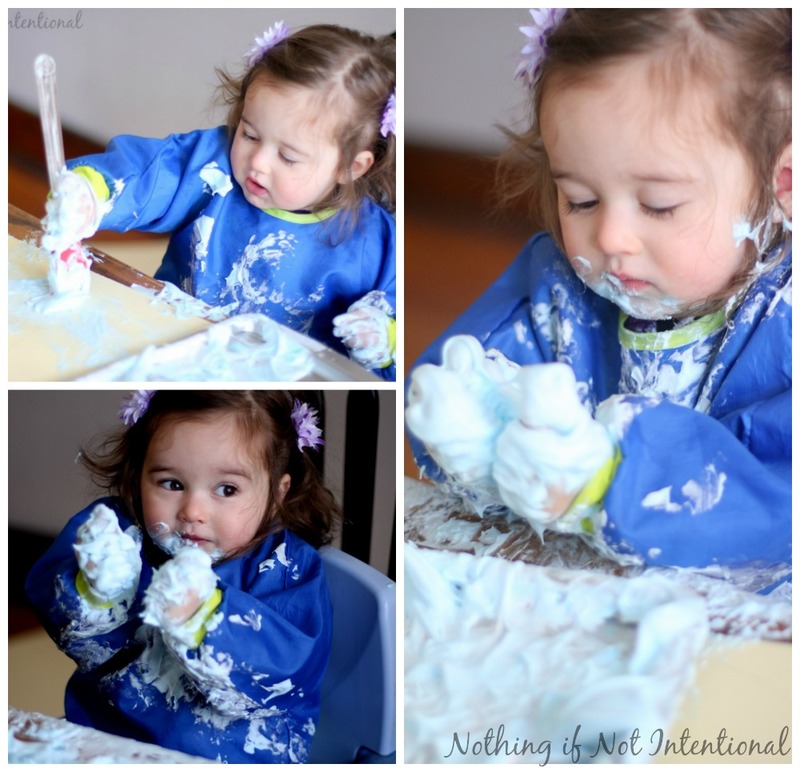 This post is part two of our Spring Play Days series! 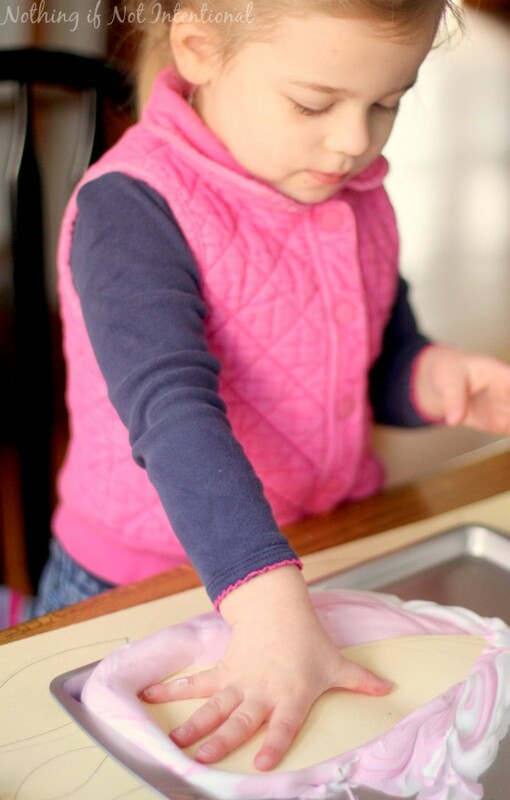 If you missed part one, be sure to pop over and check out our yummy, cute, and healthy butterfly pancakes! Spring Math Game for Kids–Plant the Flowers from Fun-A-Day! Thanks for visiting and sticking with me to the end! Why not sign up for email updates to be sure you never miss a new post? ← Butterfly Pancakes–Cute, Fun, and Healthy!